The Beacon Boys Ultimate Team has had a very promising start this year, posting a 1-0-0 record in the NYC Ultimate League as well as two very high tournament finishes. The team has recently been promoted to Division A due to its stellar performance the season prior. 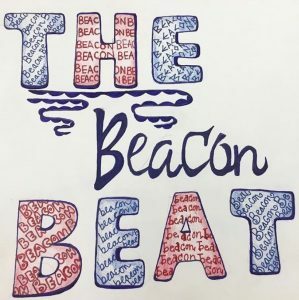 In 2018, the Beacon Boys team went undefeated throughout the regular season until their the finals matchup against Brooklyn Tech where they lost by one, ending their season. So far this season, Beacon has started off the season with three wins and no losses. In Beacon’s first game of the 2019 season, they faced Bronx Science’s A team. Beacon overcame Bronx Science after starting the game on a roll and never showed any signs of slowing down. Beacon ended up winning the game with a score of 15 to 9. Beacon was lead by their captains, Noel Sierra, and Jacob Cowan who both amassed great stat lines. Noel totaled 6 points as well as 1 assist while Jacob threw for 6 assists and totaled an astounding 8 blocks. In Beacon’s second regular season game, they beat Fieldston 8-6 in a windy match. Throughout the game, Beacon was a little short-handed on players, but they managed to pull through. In their third game, they beat Hunter 8-7 in a game that was plagued by rain. In Beacon’s first tournament of the season, the NYC Youth Kickoff, held at Van Cortlandt Park, Beacon finished in third place behind Stuyvesant and Bard. Beacon beat Brooklyn Tech, Regis, and Scarsdale but eventually lost to Stuyvesant’s A team 4 to 3 in the semifinals. But victory wasn’t far off. In Beacon’s second tournament of the season, they received a first-place finish. In Beacon’s first game of the tournament, they played Dwight Englewood, the host of the tournament. After Beacon started the game off exuberantly, it was hard for Dwight Englewood to launch a comeback and the end score was 13 to 3. In Beacon’s second game of the tournament, they demolished Northern Valley Coalition in a 13-0 rout. In Beacon’s third game, they barely survived against Montclair High School surpassing them by a score of 8-7. In Beacon’s final game, they outdueled Livingston High School with a final score of 8-6. The players on the team attribute the team’s early success to the team’s chemistry. Issandro Trenard, one of the teams sophomore leaders, credits the team’s early success to the team’s great chemistry: “I don’t know why we are playing so good together but you really can’t complain. We are winning and that’s all that matters.” The coach, Adam Stern, believes a major part of the teams early success is due to the strong crop of underclassmen, “our team has a very strong Sophomore and Freshman team and it really helps that we don’t have to overplay our seniors to get a win.” So far, it seems as though the Beacon boys ultimate team can make it deep into the playoffs, and maybe on to the state championship, at their current rate of success. Next Post Advisory at Beacon: A Failed Concept?